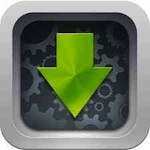 We got many requests asking us how to install installous with iOS 5.1 on iPhone, iPod and iPad. Well, installous is one of the Cydia apps which allows you to install cracked apps on your iDevice. The whole purpose behind cracked apps is if you would like to try an app before buying from App Store. So in order to download installous on your iDevice, you have to jailbreak it first. Currently, A4-devices and older " iPhone 4, iPhone 3GS, iPad 1, iPod touch 4G and iPod touch 3G " as these are the available devices to be jailbroken on iOS 5.1. Follow our step by step guide to install installous on your idevice below. The most popular tweak in Cydia, AppSync is now available for iOS 4.2.1. It lets you install cracked apps on iOS 4.2.1 firmware by patching the MobileInstallation file on iOS 4.2.1. Once you have installed AppSync iOS 4.2 on your iDevice running jailbroken iOS 4.2.1, you’ll be able to install cracked apps (.IPA) on your iDevice without using iTunes.